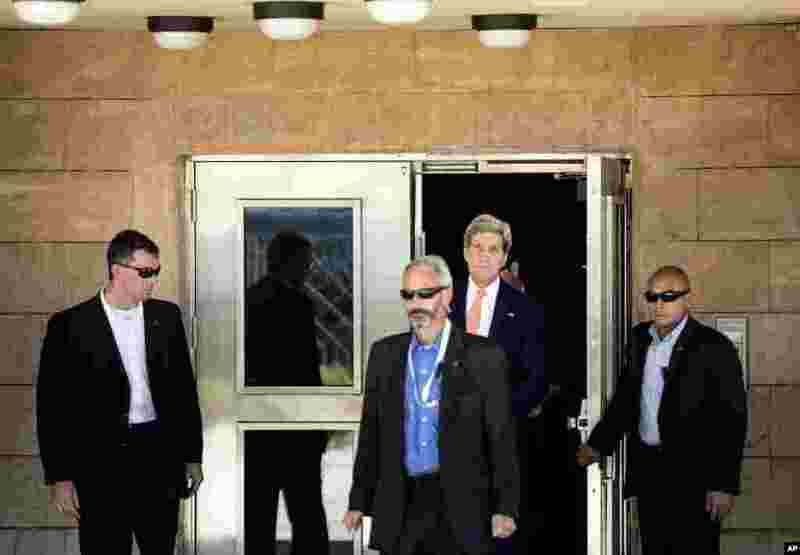 1 U.S. Secretary of State John Kerry leaves the U.S. embassy ahead of a meeting with Iraqi Prime Minister Nouri al-Maliki at his office in Baghdad, June 23, 2014. 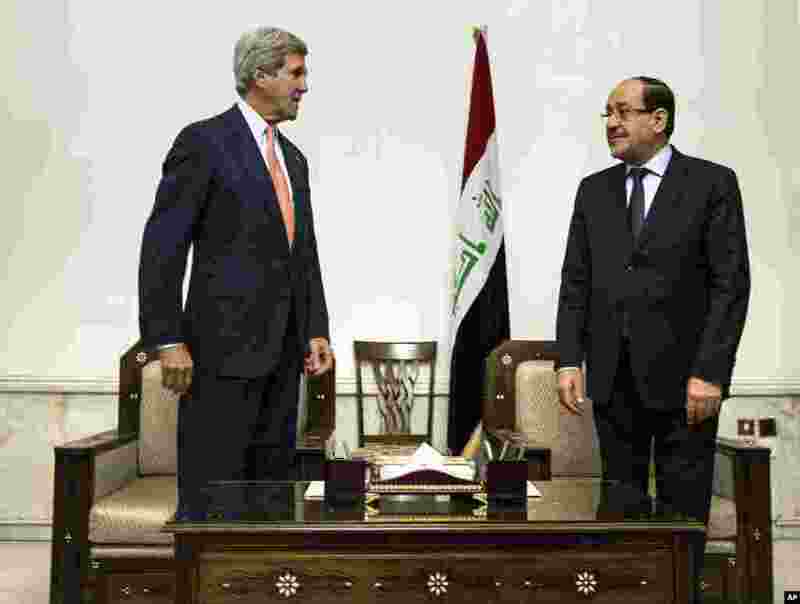 2 U.S. Secretary of State John Kerry meets with Iraqi Prime Minister Nouri al-Maliki in Baghdad, June 23, 2014. 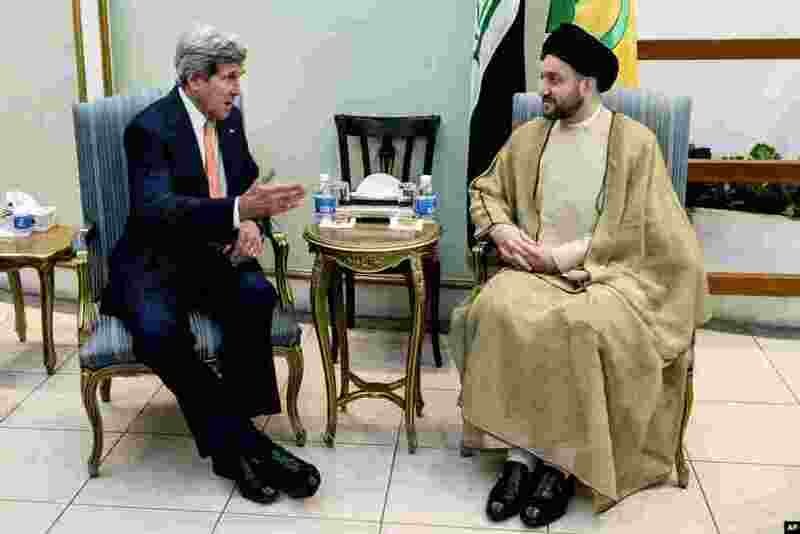 3 U.S. Secretary of State John Kerry speaks with Sayyed Amar Al-Hakim, head of Supreme Islamic Council, during a meeting in Baghdad, June 23, 2014. 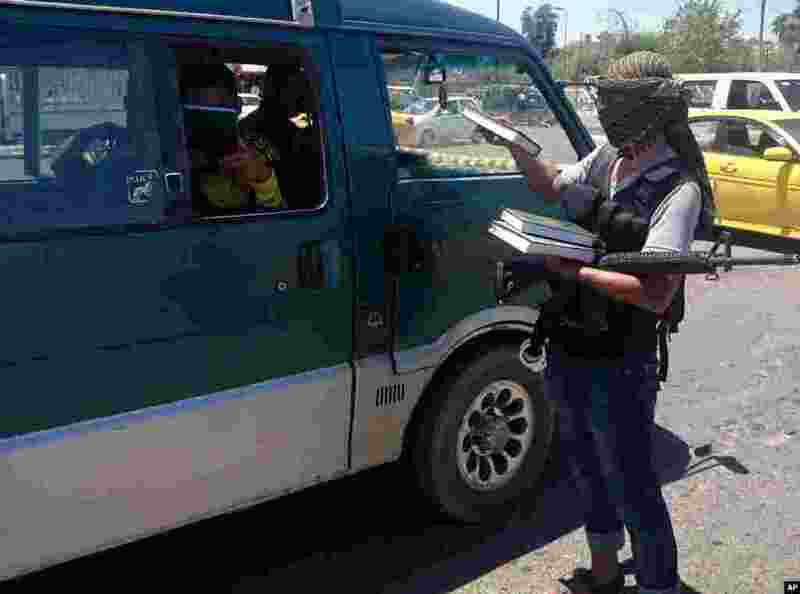 4 A fighter with the Islamic State of Iraq and the Levant distributes a copy of the Quran, Islam's holy book, to a driver in central northern city of Mosul, Iraq, June 22, 2014.